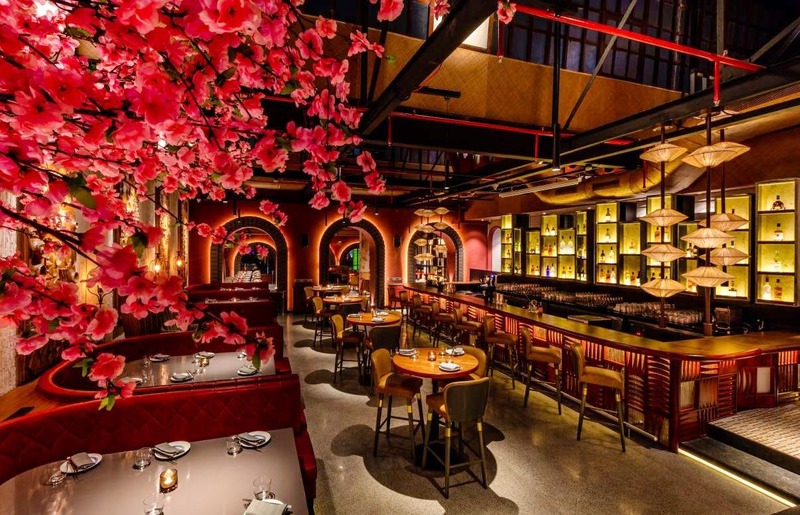 Over 120 Asian Delights & Mind-Blowing Cocktails. Why Haven’t You Been To Foo Yet? There’s no dearth of good food in Mumbai. Honestly! Name the cuisine and I bet you will find a plethora of restaurants to choose from. Being an Asian food lover (it’s my favourite cuisine), when I heard about Foo for the first time, I knew I had to god here. India’s first all day Asian Tapas, Foo is the brainchild of The Tham Brothers along with Kishore DF (so high hopes already). Now that you know what got me excited, here’s what happened next. Foo is a melting pot of culinary cultures. With over 120 Japanese, Chinese, and mixed Asian small plates, it’s highly difficult to make a choice. To add to this, their massive bar menu doesn’t make matters any easier. So I decided to let them surprise me with both. The meal started with some sushi rolls, and boy, were they amazing or what? This was followed by the Charcoal Har Gow dumplings and duck dumplings. I loved the flavours, and it helped that everything that came on the table so far looked beautiful too. For mains, I was given a gorgeous bowl full of the Bloo Rice paired with Spicy Guilin Red Snapper and Chicken Fragrant Chilly Oil. I know I’ve made it amply clear that I loved the food, but let me just say it again- go here and eat your heart out because you’ve been missing out on a lot! My food was complemented by some insane Negroni-inspired cocktails, and clearly, Kokum Club was favourite. They also have about 30 types of sake, so don’t hold yourself back. I closed my meal with a Black Marble Sesame Cheesecake and a Hazelnut Dome. I live for desserts, truly, and these were just what I needed. Also did a mention how wonderful the vibe of the restaurant is? It’s spacious, warmly lit and is full of people at any given point. With so much banter in the air, a kickass playlist and such good food on the table, it’s hard to not have a good time here. The best part? You won’t feel a pocket pinch at the end of this affair. Did we tell you that Foo's opened in place of CPK in High Street Phoenix? Now go ahead and make those plans to get here already!